MESG Foundation offers tokens through exchanges using an innovative Algorithmic Token Offering system. Connect reusable, shareable integrations from any API or decentralized network, managed by the MESG Engine. And get paid for it. The new economy for buying and selling modular application components. Choose new application features, or monetize off the ones you create. The MESG Marketplace is made up of by two kinds of participants: some create Modules and get paid for their work, and others save time in the integration of powerful features. 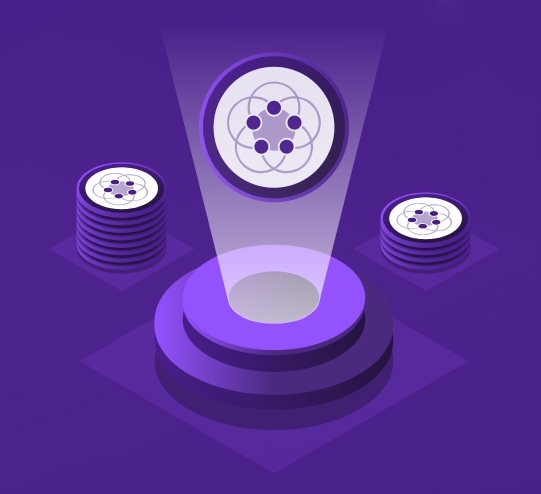 MESG has a market-driven economy where developers generate income by building Modules and making them available to others to employ in their own applications. 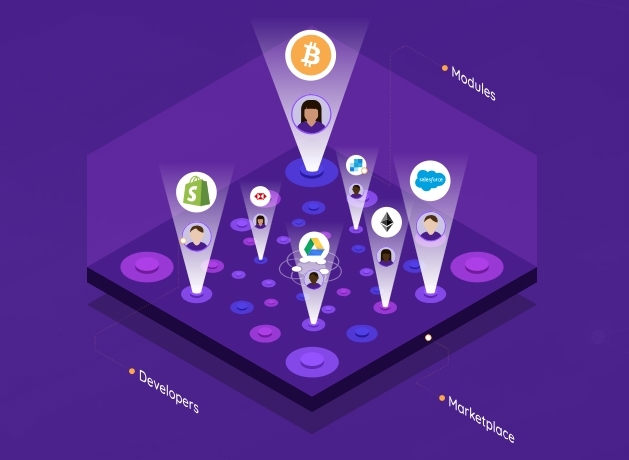 Modules are discreet, functional components of applications built by developers that can make up significant portions of apps, such as connections to APIs or blockchains. Once built, Modules can be sold, purchased or re-used. Modules purchased on the Marketplace can be easily plugged into any application. This eliminates much of the repetitive work in development, delivering companies and developers significant time savings, not only in deployment but in maintenance throughout the life of the application. Plus, MESG’s open Marketplace gives developers access to exciting, cutting-edge Modules, which allow quick implementation of features from the most popular and useful technologies. Once MESG’s decentralized network launches (Q1 2020), there will be even more ways for participants to earn and save - no development skills required. 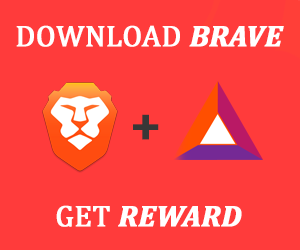 Users can simply run their computers to support the processing of data in the Network and will receive payment in MESG Tokens for their participation. Soon after the network is launched, payment for Modules will transition from a one-time fee to menu of different choices available to creators, adding options like subscription and pay-per-use, and include freemium and free trial options as well. Connect and automate divergent tech with the MESG Engine. Now you can gain control over the flow of data and level of security between your whole stack of connected systems. Today, one of the biggest challenges in the tech industry is the efficient connection between separate systems. Companies spend hundreds of billions of dollars annually to connect them. To make matters worse, each year, an increasing number of disparate new devices, products and applications are created. Today’s popular way of developing applications is to code a direct connection between two or more systems. This process is costly, inefficient and requires frequent and complex overhauls. MESG is built for ultimate flexibility, allowing for the connection of nearly every system and technology in a normalized way. 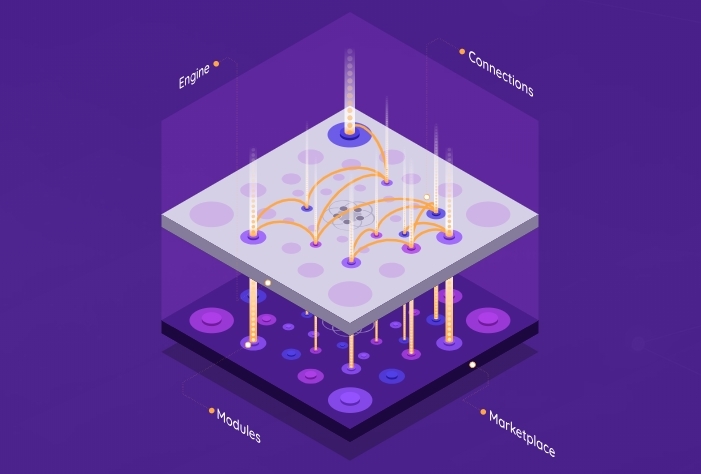 MESG Modules connect directly to the source of data through APIs, decentralized networks or standalone microservices. The MESG Engine then provides connectivity between those Modules and other devices and applications. The Engine allows you to control the flow of data and the level of security between all connected technologies. Modules can be combined together into workflows, and those workflows can be combined into applications. The opportunities and possibilities are limitless. MESG is extremely flexible and expandable, so we encourage you to think beyond these features. Plug features into any application - we are even using MESG to build MESG itself. The highly-interconnected nature of most applications can make testing out new technologies, functionalities and solutions inefficient and challenging. Even the removal of a single feature can require the complex reconfiguration of an entire application. MESG mixes a gRPC API and a container based module approach to offer the most flexibility to developers. Language differences between products, features and teams can become a big setback when building new products. First, learning a language requires a time investment, then once a project’s language is chosen, teams are often forced to stick with it despite limitations. Event-driven architecture allows any services to produce events and react to other with loosely coupled dependencies. Today’s modular app-building methods often require the access of features from third-party technologies. Systems like SaaS providers typically restrict the functionalities that developers can access, however, all systems feature events. And events are easier to work with. MESG features flow-based programming to create reactive applications with endless possibility. Events on blockchains or other difficult-to-reach technologies can be easily combined into powerful workflows using the MESG Engine. Creating event workflows with blockchains can make atomic swaps, sidechain or lightning network deployment fast and easy. These features can make businesses more efficient and profitable, or add entirely new business cases that were not previously possible. MESG’s decentralized network will enable you to run centralized services in decentralized trustless environments. Adding features to decentralized products often means compromising on the values of decentralization itself, as connectors are most often centralized. MESG applications can be created using the latest paradigms of programming to create flexible and scalable applications. This flexibility extends beyond traditional features, and into decentralized network and blockchain support. 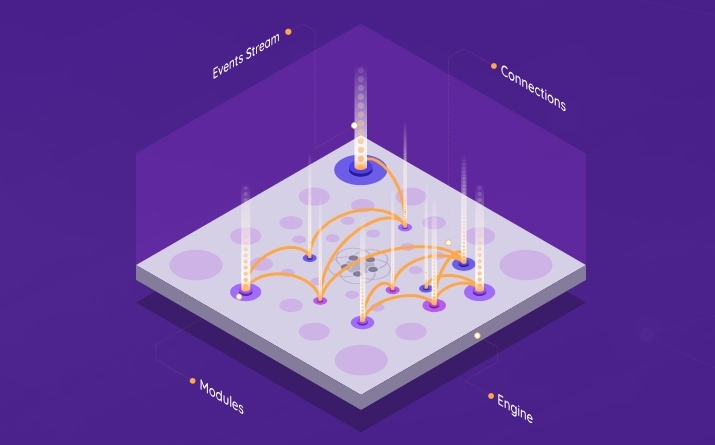 The mix of an Event-driven architecture and a decentralized network offers high scalability and redundancy infrastructure Centralized app infrastructures are inherently limited. Servers and local networks can only accommodate so much, plus maintaining your own server can be a costly endeavor. To make matters even more difficult, compatibility issues throughout software often mean that choosing a technology or infrastructure limits you to a predefined future trajectory. Restricting possible integrations limits vertical and horizontal scalability. Supply Distribution The supply distribution of 62.5% will be released in daily allotments. Algorithm Daily allotment will be calculated as a small percentage of the previous day’s trading volume, tying tokens released to actual demand. Initial supply On the first day of the exchange listing, 0.1% of the total supply will be released to initiate the supply. Transparency Metrics will be published daily to enhance transparency between the MESG Foundation and the community. To stay up to date on MESG news and announcements, subscribe to Medium and Steemit channels, follow on Facebook and Twitter, and join the conversation on Telegram.